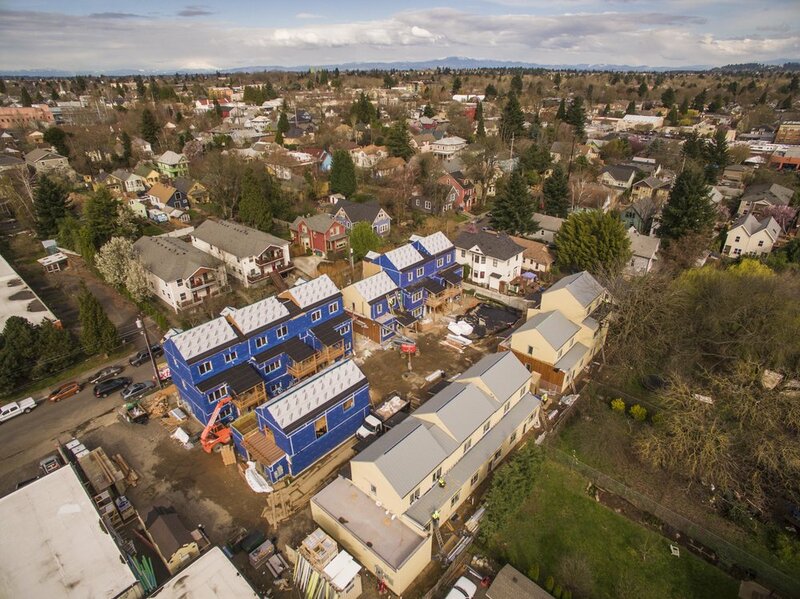 Currently in construction in NE Portland is this innovative 16-unit pocket neighborhood. The design features a mixture of owner and renter units with front porches and balconies oriented around a common house and courtyard. The units are designed to allow residents to “age in community” (as opposed to “age in place”) and are anticipated to achieve Net Zero Energy with the support of Energy Trust of Oregon incentives.